This is the first slot I have come across themed on the French Royal family and the Versailles palace. It is a colourful 5 reel video slot, with some very distinctive graphics work. There is nothing particularly outstanding in the game-play. 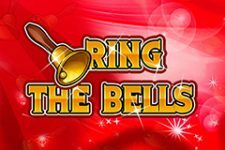 You’ll find a free spins game with a special expanding symbol, and the usual EGT progressive jackpots. If you enjoy the historical slot games, then this one is just about unique enough to be worth taking for a spin. You’ll see a graphic of the Versailles palace in the background of the reels, with pathways winding through gardens at the bottom of the screen and decorated skies above. The reels all have a circular decoration behind the symbols and are beige. The royal family is drawn in a classical style, which does feel a little out of place on a video slot game. Kings had long hair back then, and a stern looking character is the main symbol for this game. There is a queen, carriage, and a golden jewel which looks like it could be based on the sun. Animations are short, for example the queen walking down some stairs – nothing too special though they do add some life to the slot. Sounds are classical and do sound fairly regal to my untrained ears. The default number of win lines is 10, which is low compared to many other 5 reel, 3 row video slots. You can even reduce this further, with 7, 5 3 and 1 all options on the bars at either side of the reels. Bets start at just 10 coins (presumably 10c) with default betting buttons going up to 200 coins. As always with EGT slots there are gamble-after-win and auto play options available. Considering you can bet from just 10 coins, the 5000 coin top regular prize is fairly generous. This is for 5 of the king symbols on a win-line. You’ll get 1000 coins for 4, 100 for 3 and 10 for just 2 kings from the left hand side. Wild symbols are the golden sun-like jewel, and will substitute for all of the other symbols to create winning combinations (no exceptions like in many games). If you get 5 wilds on a win-line, the prize is 2500 coins, with 250 for 4 and 20 for just 3. 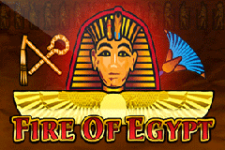 What is more, 3 or more of these wild symbols get you 12 free spins. The queen is worth 2000 coins for 2, the cardinal 750, the carriage also pays 750 for 5 and the playing cards make up those smaller but still important wins. The 12 free spins game comes with a special ‘expanding symbol’; this system is also used in other EGT slots and probably available on other online slot software providers. You go to a screen before the spins start, where a circle flips revealing different symbols. This slows down, then eventually stops – the symbol it stops on then gets some special corner decorations during the free spins. While the spins take place your symbol will expand to cover all 3 rows on a reel whenever it can make up wins. It is possible to have 3 full reels covered. This can add some significant wins to your bonus game. After your spins are completed you will go to a red patterned screen, which displays the total amount of coins that you have won – before returning to the regular game once again. The other bonus feature in Versailles Gold is the jackpot game which is common to all EGT slots. You will see 4 jackpot amounts above the reels, each one assigned to a different playing card suit. Randomly (and not too often! ), a break out game triggers where you get to choose from 12 face-down playing cards. The idea is that you keep on going until you pick 3 of the same suit. This decides which of the jackpots you will win. These are not multi-million dollar pools, though the prizes are still very much worth winning. 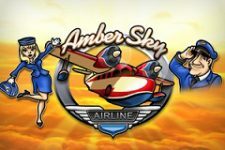 There is nothing too remarkable about this game, though for players who enjoy historically themed slots then it is certainly good enough to take for a spin. The classical graphics and sounds make it feel different to many games I have played. The only notable feature is the expanding symbol during the free spins round – though the (shared) EGT jackpots are always possible in the randomly triggered pick-em game.